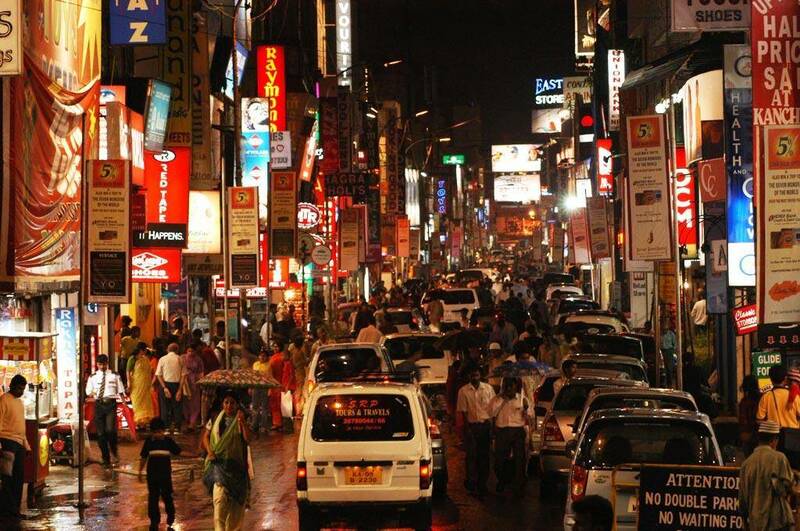 Bangalore, a cosmopolitan city is famous for the nightlife it flaunts. This “Silicon Valley of India” has been tagged as the top ranking IT hub in India that attracts tourists with its rich culture and epic history. This might come as a surprise to you but the first ever mall in the country was established in the city of Bangalore. While this city flaunts it’s a good collection of malls, luxe brands, and swanky stores, there is nothing that can be compared to the pleasure that comes from street shopping. If you have been craving for any retail therapy, and don’t really want to spend a substantial amount of money, markets in Bangalore can offer you quite a good collection to hunt from. From budget shopping to posh collection of exclusive pieces, you can get quite an option when it comes to shopping at the wholesale markets in Bangalore. Here we have exclusively selected the best markets in accordance with their specialties to help you hunt for the best items at affordable prices that you always longed for. Handicraft items or sarees, when shopping at M G Road, you get to decide what goes inside your shopping bag. This shopping destination is considered the king among the markets of Bangalore. The silk sarees you get to collect from this market will surely add to your favorites list and what’s more, you can bag some amazing handicraft items to bring back home at fairly reduced price tags. Food and shopping, what more do you require when out in search of the perfect saree that helps you flaunt your curves in the best possible ways. M G Road is a personal favorite of the ladies in the city given the great deals fetched when shopping for huge collection of the silk sarees that make them look gorgeous and trendy. 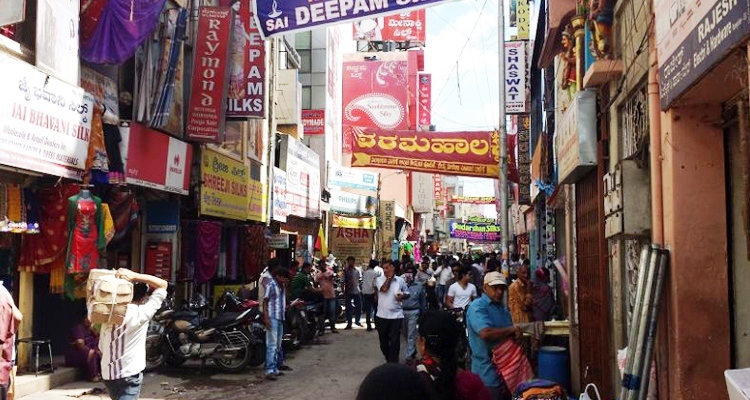 M G Road is surely one among the popular traditional markets in Bangalore. 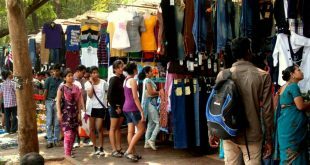 This market keeps buzzing till the middle of the night so shop all you can in this best option amongst the textile markets in Bangalore after your day at the office and get back home with a collection that adds to the charm of your closet. 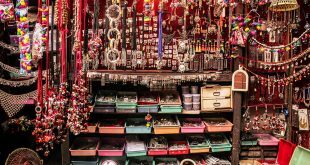 As the name suggests, Commercial Street is a place in Bangalore that is up and buzzing with visitors especially the youth population that have been looking for an amazing bargain for everything that starts from silver jewelry, fashion accessories, antique curios, and kolhapuri chappals. 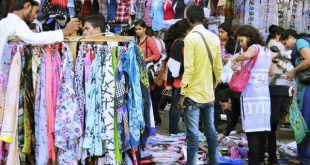 The popularity of this street market comes from the college students that visit this market which assures a buyer of the fact that it is always updated with the latest trend in the fashion market. 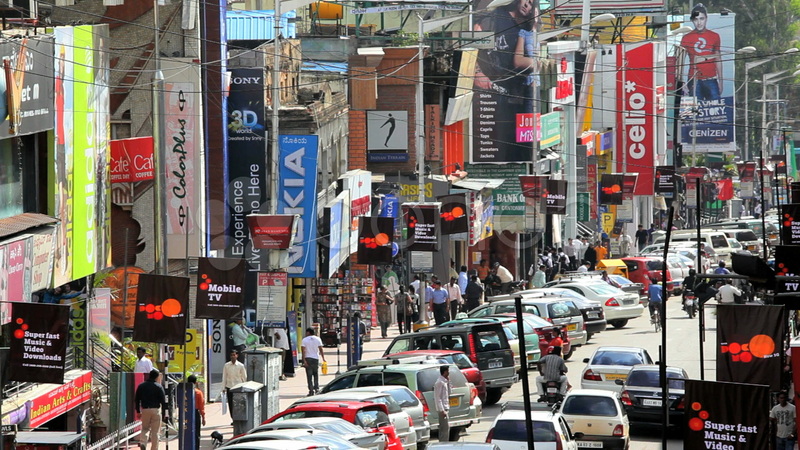 Commercial Street is a delight for the shoppers when it comes to local shopping markets in Bangalore. When shopping at this market, you can look for things that can easily be added to your home décor. Deck your kitchen with amazingly fresh spices when shopping from a wide collection of these freshly curated local spices. Not just that, you can also enjoy a handsome portion of the authentic local biryani when strolling around this successor from the wholesale cloth markets in Bangalore. What’s better than supermarkets in Bangalore when it comes to beautiful sarees? 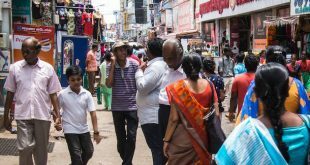 It is Chickpet Market that houses some of the amazing and unique pieces of exclusive sarees that hold designer pieces as well as traditional fabrics with local art. 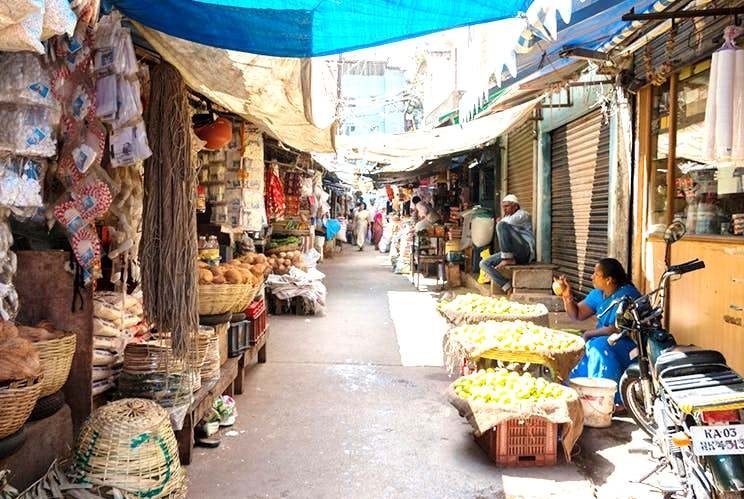 This market is considered among the oldest in Bangalore with a history that comes from a time 400 years prior today. 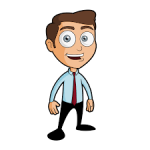 Affordability is the second name of this market. For the ones looking for list of supermarkets in Bangalore to hunt for sarees, there is no need when the silk markets in Bangalore such as Chickpet Market house a great collection at affordable prices. Not just Sarees, you can find something to pair with your gorgeous saree like the jewelries crafted from precious metals such as silver or gold. It might be a bit overcrowded so make sure you plan your shopping session during the early half of the day. Whether it is in the morning or after sundown, Brigade Road is a market that has managed to capture the attention of shoppers from the local area as well as the visitors. If you are adding the list of markets in Bangalore to visit in your itinerary, make sure you mark a position for Brigade Road as well. 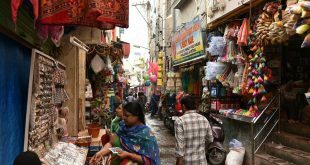 A sprawling commercial centre in Bangalore, this market comprises of stores and shops that sell things such as clothes, spices, shoes, handcrafted items, antique jewelries, and things that you might need in your daily life. The hawkers and store owners here charge a comparatively reasonable price for the items sold in the market. Apart from local creativity, you can also find brands that include Starbucks, Nike, and KFC in this area. So when hunting for a uniquely chunky piece of ancient jewelry to pair with your beautiful kurti, get to this flag bearer among the cheap markets in Bangalore to invest in a great deal. You might have heard about the late night markets but have you ever heard about any of the local markets in Bangalore that actually never shuts down! It is also known by the name Krishan Rajendra Market. 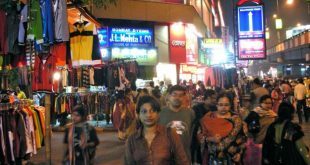 It ranks among the major markets in Bangalore that is open to its visitors even during the odd hours. 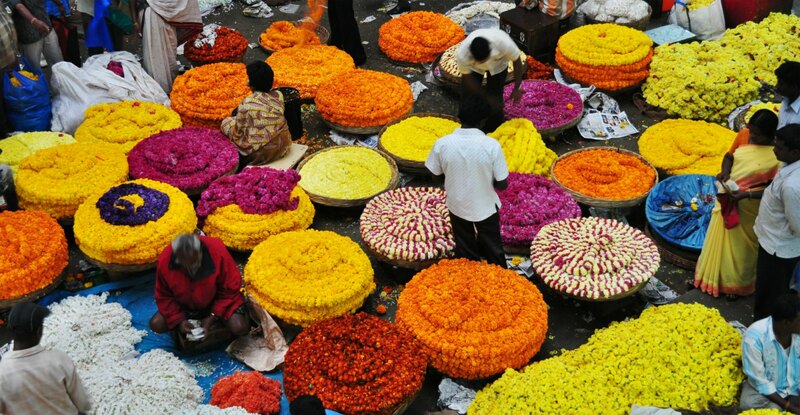 If you are looking for fresh and colorful flowers in the city, flower markets in Bangalore start early in the morning and same is the case with KR Market. Early morning scenario in this area is picture perfect with colors and amazing aroma dominating the area. Krishna Rajendra Market is also among the busiest tourist markets in Bangalore that also houses items such as spices, vibrant dyes, copperware, and fresh market produces that is spread evenly all across this 3-story market structure that was erected back in 1990s. This building was constructed between two older ones to add to the existing space and help smooth out the crowd. 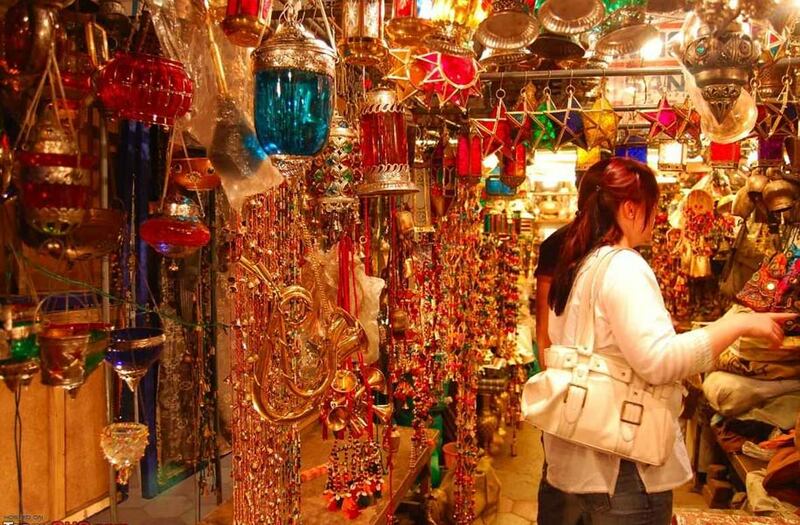 Are you in search of markets to visit in Bangalore that house exquisite handicraft items? Get your purse and fetch that cab ride to the Residency Road. This market is located in the city’s heart making it the perfect choice for the locals as well as tourists looking for an exclusive experience of marketing the local taste and culture of this city in the south. Not just Karnataka, when shopping at this top scorer from the flea markets in Bangalore; you get souvenirs from states such as Odisha and Gujarat which includes the local handicraft items. When at Residency Road, you get access to sandalwood soaps, wooden artifacts crafted from the scratch with the use of local talents. Not just that, you can also hunt from the amazing collection of brass-ware and pretty jewelries. Make sure you shop at the Gangotri for local handicraft items at discounted prices listed out by the Karnataka government. Does your mouth water from the thought of binge eating that collection of puffed rice? If that is the case, make sure you visit the Gandhi Bazaar and hunt for these amazingly delicious cuisine that will surely add to a perfect memory of shopping down this bustling lane. 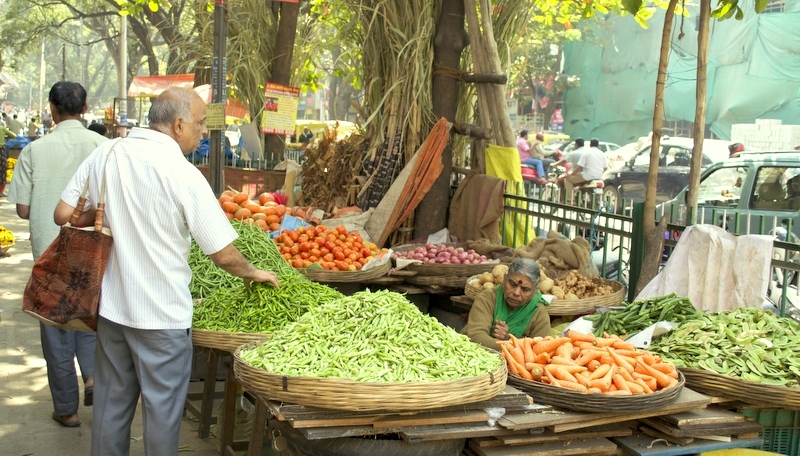 When you think about the popular vegetable markets in Bangalore, Gandhi Bazaar is the first option that will pop up in your mind. This market offers the buyers a vintage taste of Bangalore’s exclusive produces. Not just vegetables, if affordability is the question when it comes to seeking tasty yet low-priced fruits, Gandhi Bazaar will never disappoint you. Fruit markets in Bangalore like Gandhi Bazaar often opt for wholesale option as opposed to retail. This is why you get a good price for the fruits that are brought from this market. Also, it houses some of the best collection of the jewelry shops so get ready for a shopping spree that seems like a never-ending journey. Kitsh Mandi can aptly be described as the creative segment of Bangalore where the upcoming designers pitch in their unique ideas and craft beautiful home décor inclusions. If you are looking for any trendy furniture markets in Bangalore, then a visit to the Kitsh Mandi is the best decision you can ever make. This mandi ranks among the most vibrant and colorful home décor based markets to shop in Bangalore. Bangaloreans are famous for being people that are uber cool and easy going. They party, work, and relax, everything in the very same week. This unique attitude reflects on the weekly markets in Bangalore as well. 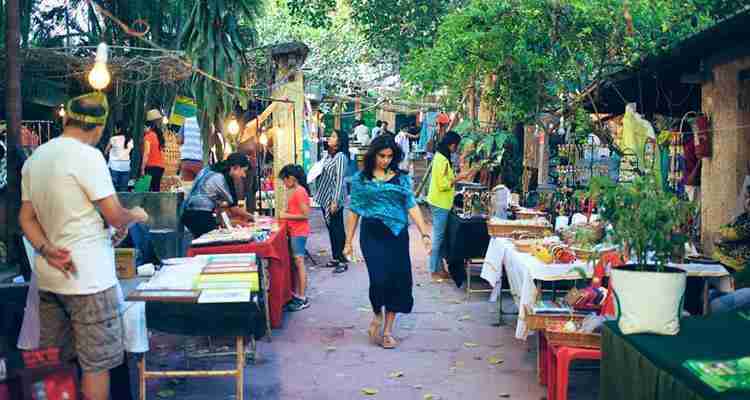 In an effort to promote the unique skills of the up-coming artisans, this market sells the hand-crafted beauty of young entrepreneurs and you can also find budding musicians trying out their skills in the market. During the special exhibitions that are held in this market every now and then, you can shop for the slightly damaged items at amazingly discounted prices. At Kitsh Mandi, you can find a perfectly electric collection that adds to the spark of your home décor as well as furniture workshops. The mandi is always organized at the Ramanna Maharishi Palace Grounds, so if you are bored of the regular shopping sprees, soothe your eyes and amp up your home décor with a visit to the Kitsh Mandi. Located within a short distance of the MG Road, this market is among the oldest place in Bangalore that offers a wide variety of goodies one can take back home. You can easily fill up the pantry with a budget investment when shopping at the Ulsoor Market. Whether it is a gorgeous costume for the upcoming party or you just need to purchase some stationery items, Ulsoor will provide you everything and that too at beautifully discounted price tags. Is grocery shopping running on your mind? Ulsoor Market is also one among the wholesale vegetable markets in Bangalore that can help you fill your fridge with fresh veggies and tasty fruits without having to spend a lot. Hop into the next lane post your vegetable shopping trip which comprises of several varieties of fishes caught from the Ulsoor Lake nearby. Fish markets in Bangalore generally flaunt a supply of fresh stock caught just in the morning and sold throughout the day. You can bring home a wide variety of seafood such as pomfret, mackerel, crabs, and sea fish along with popular options such as catla and rohu. You can also get to the stalls that sell chicken and mutton. If you happen to plan a trip to ShivajiNagar, you can find the largest among the pet markets in Bangalore located in this area. It is among the oldest market in the city with a wide variety of collection in terms of pets that can be your house companion. From Pomeranians to German Shephards, one can find a wide variety of imported breeds in this market available at discounted prices. 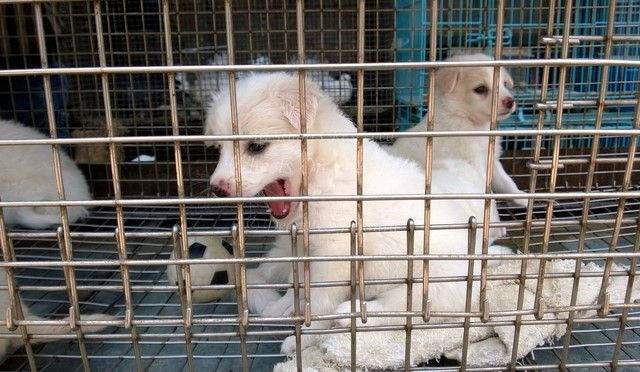 If you aren’t looking forward to purchase a pet from markets, you can also get in touch with several NGOs in the area such as CUPA, Karuna, and ASHA to adopt a rescued pet. Doing this brings an abandoned or emotionally traumatized pet to your loving and caring environment where you provide care, nourishment, and love to your loyal companion and best friend. If you are in search for markets in Bangalore for shopping pet products, you can also buy items such as food, leash, cage, bowl, shampoo, etc in this pet market to keep your pet in healthy condition with best products used for the skin and hair. You can choose from a wide variety of pooches such as mastifish, terriers, poodles, rottweilers, pugs, malteses, shihtzus, great dane, etc. Bangalore is a vast cosmopolitan city that never stops and so does shopping. Apart from the famous markets listed above, you can also find a list of several other markets in the city opted for shopping by the locals. Some honorary mentions for mobile markets in Bangalore include Bangkok Plaza and National Market where one can find mobile phones and several other gadgets at unbelievable prices. So the next time you visit Bangalore, shop all you can and try that bargaining skill you recently learnt to get a good deal for that amazing saree or footwear.